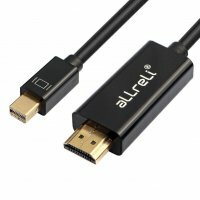 View basket “aLLreLi 6ft Mini DisplayPort (Thunderbolt Compatible) to HDMI HDTV Cable” has been added to your basket. Blue Switch , a clear clicking sound to identify each change, all the keys were tested 50 million times, perfect for professional gamers and typists. DUAL THE CHARGING POSSIBILITIESPlug in the USB car charger and re-power up to two devices at one time while still enjoying the fastest possible charging speeds. Universal design works with iPhone, iPad, iPod; Samsung Galaxy, HTC & other Android phones; MP3 players; GoPro & digital cameras; GPS devices, eReaders, handheld video games & more. YOU CAN SEE IT’S WORKING! LED power indicator lets you know the currant of the usb interface. When use two devices together,it shows the total electricity. SMART PORT ALUMINUM USB CAR CHARGER knows what type of device you plug in and charges at the fastest possible rate; Stops charging automatically when the battery is full to eliminate overcharging risks. REAL-TIME MONITORINGthe voltage of your car battery. When the voltage is less than 11.8v on the car or is beteen 18v-23.8v on the track,the led light will flash. Then you need to check the car battery now. UNIVERSAL MAGNETIC CAR MOUNT HOLDER 360 degrees for any IOS Android Phone, GPS, DVR and more. You can adjust it to any preferred angle with one hand in car, home and office.